Earlier this week Respawn was saying that its near future - and that of the Titanfall IP - was to be focused on the newly-launched free-to-play battle royale title Apex Legends- but it would seem that the developer has something up its sleeve. 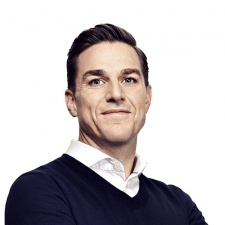 According to EA's CEO Andrew Wilson (pictured), there is a brand new premium title in the Titanfal universe that is set to launch later this year. Speaking to investors - as transcribed by Seeking Alpha - the CEO said that we'll be finding out more in the months to come. There's no indication of platforms here, but it's entirely possible that a new Titanfall game could be coming to mobile giving the IP's past. "The launch yesterday was EA's biggest reveal ever by peak concurrent viewers, and it quickly became the number one game on Twitch," Wilson said. "The Respawn team has a strong plan for Apex Legends that will engage fans for a long time to come. As the live service evolves, Respawn also plans to launch a premium game this year that is a new twist on the Titanfall universe. More to come on that in the months ahead." He continued: "I don't have more to share on the particulars of what would come in for Titanfall. What I would say is Respawn are a tremendously creative team, they always anticipated that Apex Legends would be a spectacular game in the Battle Royale genre and that they would use that as a ramp point to continue to innovate and deliver a truly creative take on what Titanfall is in a premium context later on the EA." Furthermore, there are new games in the Plants vs Zombies and Need for Speed franchises on the way, too. Wilson also said that EA has "modest expectations" about the live service around forthcoming sci-fi MMO title Anthem from BioWare, which is probably a prudent move given that the title is not out yet. But it is a bit strange to say after saying discussing how much excitement there seems to be around the game - and saying they expect five to six million sales between launch on February 22nd and the end of the financial year on March 31st - earlier in the call. Overall, PC and console digital game downloads brought in $273m in net bookings, a five per cent rise year-on-year. Interestingly, EA also says that 47 per cent of its total unit sales were sold digitally, compared to 37 per cent the year before. That's due to Battlefield V being more popular on digital storefronts than Star Wars Battlefront II. It would also seem that EA's Origin Access is coming to a new platform, too. Whether this is the service coming to PS4, mobile or Switch, or the gold tier Access Premier launching on Xbox One, is yet to be seen.